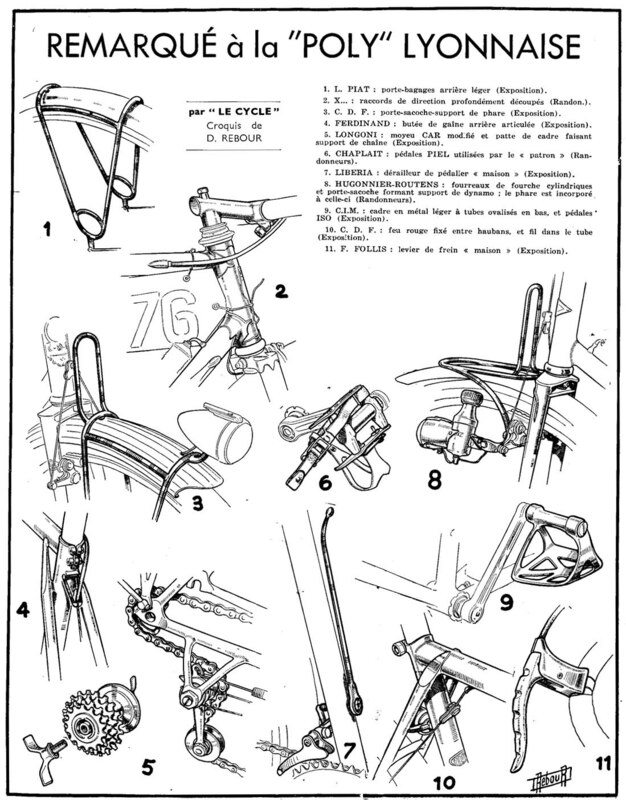 1: l. piat : light rear rack (exposition). 2: unknown : very decorated headtube (randonee). 3: c.d.f. : rack with headlight support (exposition). 4: ferdinand : articulated rear cable housing stop (exposition). 5: longoni : modified car hub and chainstay with chain support (exposition). 6: chaplait : piel pedals used by the owner (randonee). 7<: liberia : house-made front derailleur (exposition). 8: hugonnier-routens : round fork blades and rack forming dynamo support: the headlight is incorporated into this one (randonee). 9: c.i.m. : aluminum frame with tubes ovalized at the ends, and iso pedals (exposition). 10: c.d.f. :taillight fixed between the seatstays, with internal wiring (exposition). 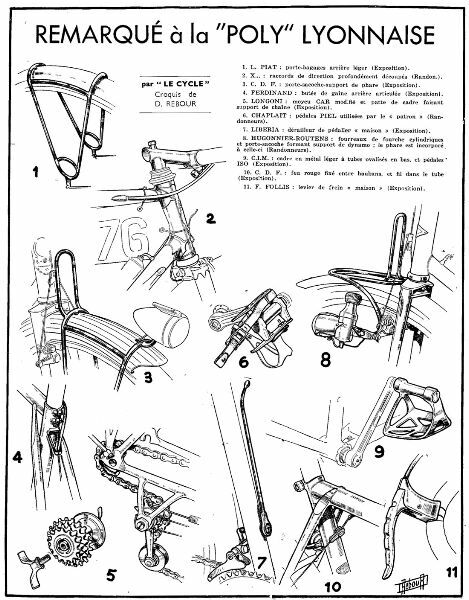 11: f. follis : house-made brake lever (exposition).